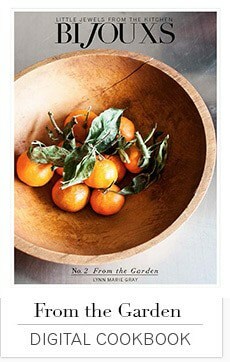 Spring has arrived in LA, bright sun peeking through the foggy mornings, signaling Salad Days. Sometimes, just one small change can yield big results. 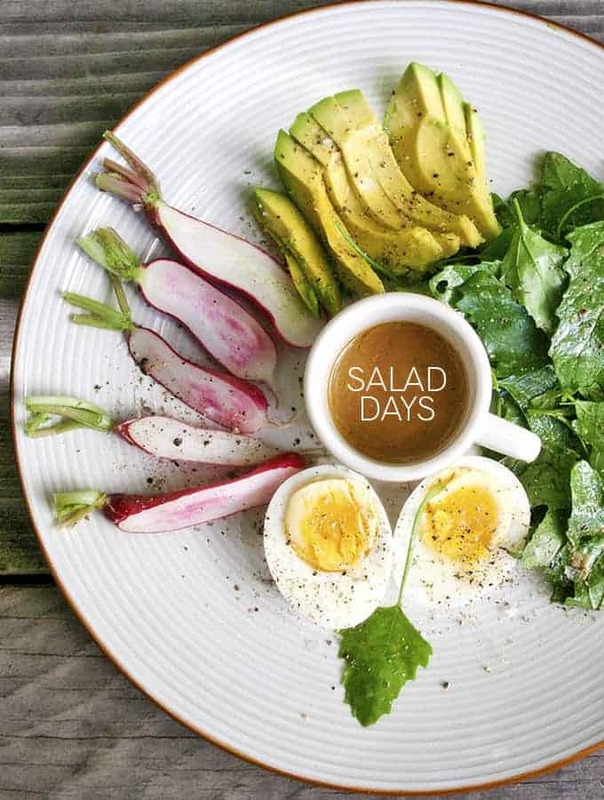 Begin making your salad dressings from scratch and yield some delicious, healthy results – Salad Days recipes at Bijouxs. 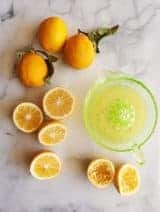 A simple change, such as making all your salad dressings from scratch, is one that brings delicious results and saves money on your weekly food bill. Another advantage, is that the dressings are fresh, made without preservatives and you can control ratios of key ingredients, such as salt and fats. Once I made this change at the beginning of my cooking journey, I never looked back. Salads play a regular part of most home cook’s weekly menus. Their freshness plays well along side dinner entrees and they often may be the mainstay at lunchtime, either at home or going along to work. With your homemade dressings at-the-ready, it’s easy to keep salads fresh and interesting, and it’s a simple change. Once a week, usually on Sunday, I make up two salad dressings for the week. I make smallish quantities, about a cup of each, just enough to be used that week ensuring freshness and variety. A simple splash of lemon & olive oil is always an additional option for salads, variety is the key. Green & Black Peppercorn Dressing packs a double peppery punch to simple greens. Place a small amount of the dressing in the bottom of a salad bowl, top with mixed greens and toss table side. The small apothecary style jars I love are from Surfas Culinary District store in Culver City, they also usually stock the green peppercorn mustard as well. A basic dressing, such as Lemon Miso Dressing, plays well with a variety of greens, here I picked up some Lamb Quarters lettuce at the farmers market. For lunch, I include crisp raw vegetables, some protein and lunch is served. The savings realized by crafting your own salad dressings affords the opportunity to sample some wonderful oils and vinegars. 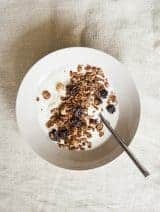 I like to splurge and have one nut oil, such as walnut or hazelnut and a good Champagne vinegar, such as Vilux, which is a versatile and delicious salad basic, in the pantry. 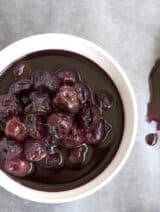 A great everyday olive oil and a basic red wine vinegar round out my salad pantry. 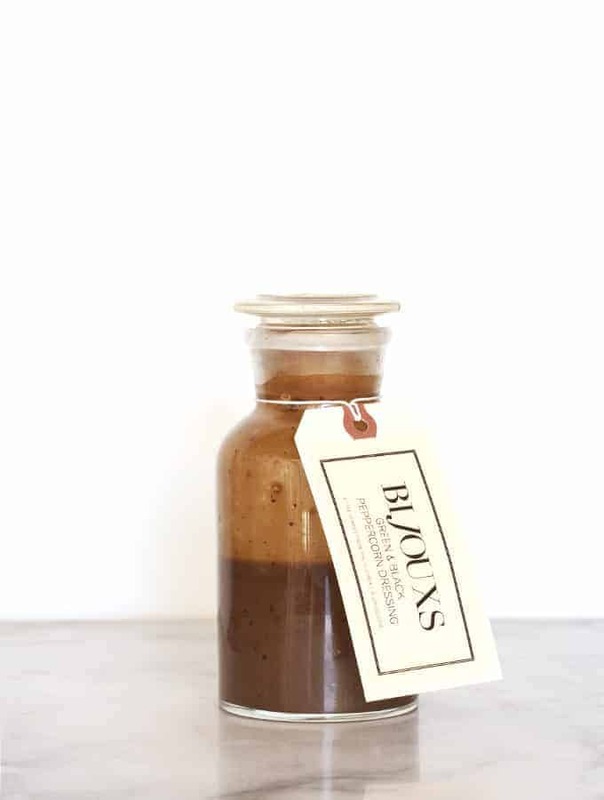 Some other Bijouxs favorite salad dressing recipes to try include: Bijouxs House Vinaigrette, House Caesar, Blue Cheese Vinaigrette and Lemon Miso Dressing. Choose flavors you enjoy, experiment and in no time you will be enjoying your own salad dressings everyday, a small change, with big results. Share your favorite salad dressing combinations, I’d love to hear what some of your favorites are! 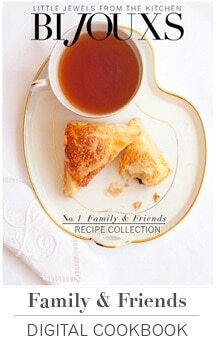 A very warm welcome to all the new Bijouxs Recipe Newsletter subscribers. 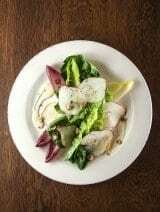 Thanks to everyone for supporting the Bijouxs Recipe Collection and enjoy Salad Days with Bijouxs. Yum! I love Salad Days and most evenings it’s lovely to have something filling but not heavy, rich with flavor but not decadent. Salads do that for me, and your suggestion to make dressings to kick off the week is a great time saver! Hi Barbara! Even though salad dressings go together in a flash, I find that if I have a couple ready to go it’s easier on those super-rushed days. I agree with you that salads make a lovely evening meal! The dressings are multi-purpose – the Lemon Miso makes a nice sandwich spread and the Blue Cheese Vinaigrette is great tossed with leftover cooked pasta and some veggies. Thank you and enjoy Salad Days! Yes to this idea Greg! Perfect when you want to include fresh herbs – which you may wish to vary based on the type of salad you are making that day. Thank you!